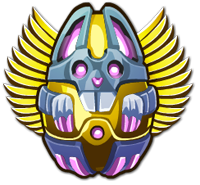 It seems you all have done great work collecting eggs...I mean egg-shaded fuel containment pods...for the Lagomorphs. The bunnies are so pleased, they're adding even more to Brachylagus' secret shop! Don't have enough eggs? All you need to do is fight! Now hop to it! 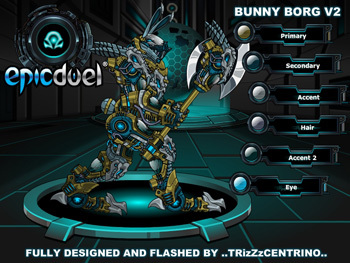 The new and improved Bunny Borg v2 by Trizzzy awaits you in Brachylagus' shop! Trizzzy is really shaping up to be a phenomenal EpicDuel artist, isn't he? Quantities are limited so better get those Bunny Eggs fast! You have successfully defeated the Elite Yeti and sent Alydriah packing. Although Frysteland is free of her cruelty, the Legion still reigns supreme, with Edgar Boothe as the acting governor. Alydriah does not take defeat or betrayal lightly, but even she knows to steer clear of extra-dimensional void gods. The Endless, the spirit you summoned with the help of Rabblefroth and Edgar Boothe to defeat the Elite Yeti, remains tethered to Delta V by a Summoning Stone. But for how long? With the release Friday, the Frysteland storyline missions will be leaving. You will, however, still be able to train Baby Yetis and Dark Yetis up to the level of an Omega Yeti or Omega Dark Yeti through missions or purchasing the growth serums outright. Be sure to check out the latest offering from Heromart, a 72-page sketchbook featuring art from your favorite Artix Entertainment artists, including yours truly and Charfade. This labor of love is packed with never-before-seen art and fascinating insights into the creative process. Even if you've never played an AE game before (If you haven't, why are you reading this post? ), this is an excellent addition to any "Art of..." book library. 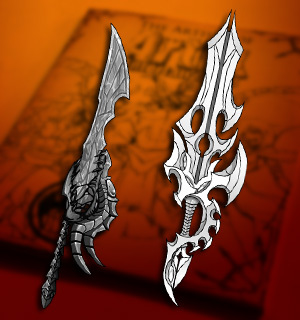 As if getting an amazing book weren't enough, each purchase comes with unique weapons in AQW, DragonFable, MechQuest, Oversoul, and, of course, EpicDuel. Pick up a copy today and receive the Nightsketch and Charsketch swords! Sketch On! The results are in and we would like to congratulate the first batch of winners of the EpicDuel Omega screenshot contest. Selecting the best of the best shots was challenging and we had to disqualify several due to improper cropping and insufficient resolutions. We made some exceptions for especially creative or well-time screenshots. We were so impressed by the results in-fact, that we're DOUBLING the rewards for each tier and adding Varium to the top two tiers! The following contestants will receive the Epic Photographer Achievement along with 200 Varium and 2000 Credits! The following contestants had 5-9 accepted screenshots and will receive the Mega Photographer Achievement along with 200 Varium and 5000 Credits! The following contestants had 10 or more accepted screenshots and will receive the Omega Photographer Achievement along with 200 Varium and 7000 Credits! Congratulations to the winners and thank you everyone else for participating. If you were disqualified due to a technicality, some quick Google-fu can reveal how to take and crop a screenshot. This won't be the last screenshot contest so stay tuned for news of the next one! 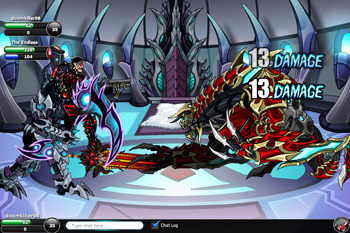 EpicDuel is always changing, and we need the best images possible to show the world how awesome it is! I would like to take this opportunity to welcome the new Moderators and Testers into the EpicDuel fold. We received hundreds of applications, but we managed to whittle the list down to the best of the best candidates. Great thanks are due to Lycus and Cinderella and for the help with the process. If not for them, I'd still be reading applications! The following Moderators and Testers have been trained and are ready to serve you as soon as possible. Thank you again for your patience through the application and interview process. I'm confident you'll help us make EpicDuel a safer and more bug-free experience!